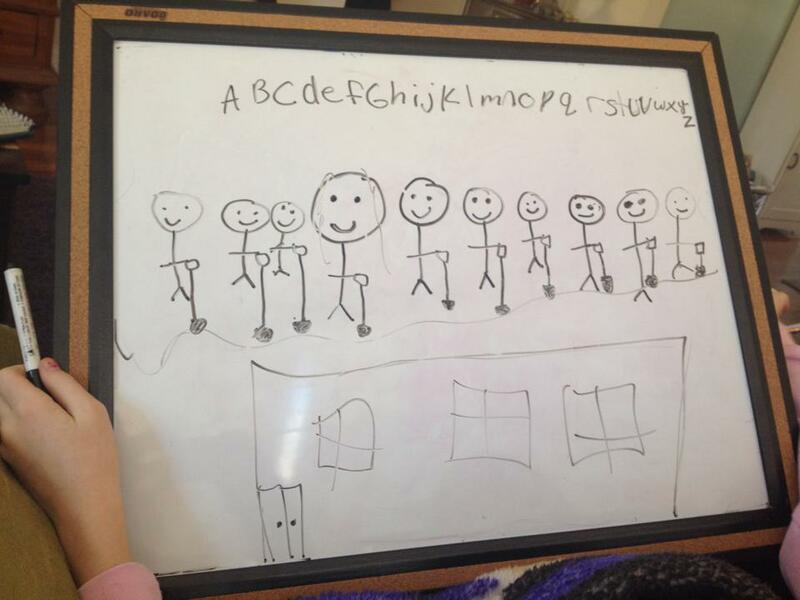 A friend of mind was playing Pictionary with a little girl and was stumped when the girl drew this picture. Can you guess what it is? It took me a while. Here are a few of my answers that were all apparently wrong. Children of the Corn, with shovels at the beach. Marriage – ball and chain, a house, the alphabet.. yeah, I dunno either. I couldn't believe it.. event though I looked at it again and I can see.. well.. yes, there are people with shovels digging.. to an underground house. Not sure why the bunker has windows. As for what was up with the alphabet? She was just practicing while Lindsay kept guessing. Huh.. reminder.. never play Pictionary with small children who don't understand the concept of the game. I couldn’t even come up with a wild guess!? LOL, Yeah.. I had no clue. And the answer is funnier. Take a guess! My thought has to do with building a school house but I can’t come up with any movie or song title like that. Well this was from a child. So it isn’t either one. I’m going to say, Digging for Gold. How awful that I said that. Why is that awful? It’s a really good guess and very close! LOL, now. Hold on.. I’ll update it.